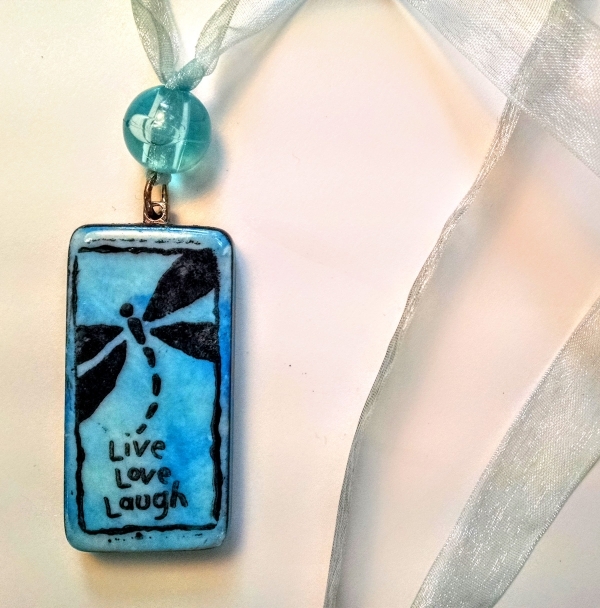 This project shows you how to make a lovely pendant necklace from a domino tile. Grab the pattern and make something unique today! Drip a few drops of alcohol ink onto the blank side of the domino. 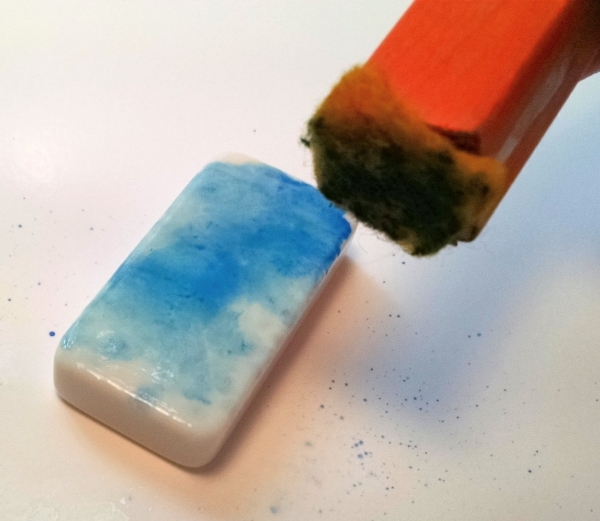 Add a couple drops of alcohol blending solution, then tap gently with an alcohol ink applicator (I used a small piece of felt glued to a wooden block!) to get the desired mottled effect. Let dry. Stamp the image of your choice in black solvent ink. You may want to practice on paper a few times first, especially if your stamp is larger than the tile. Make sure your desired focal point fits the rectangular shape. 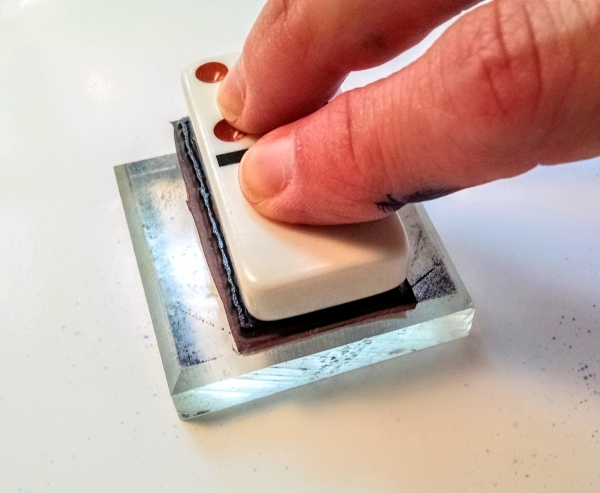 Pressing the domino onto the upturned, inked stamp helps create a clear image. Tap edges of domino onto the black stamp pad for a neat black trim. Seal your image with a coat of Glossy Accents dimensional medium for extra shine and durability. 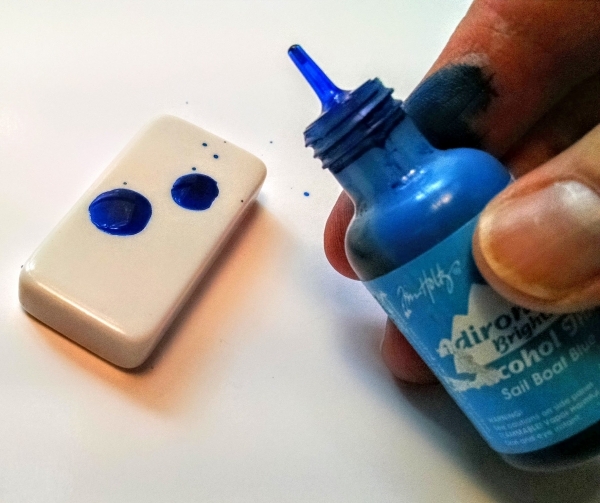 Tilt domino to spread medium; use small brush to help if needed. 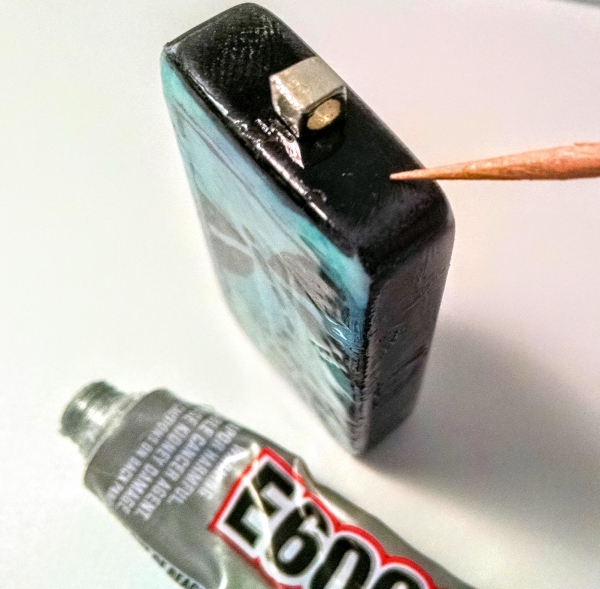 Glue the cube bead to the top of the domino using the E6000 glue. Make sure you are working in a well-ventilated area to avoid inhaling fumes. Remove excess glue with toothpick. Let dry overnight. Attach a jump ring to the cube bead using a needle nose pliers. Squeeze the end of ribbon and thread it through the jump ring. Slide the large bead down the double strand of ribbon; add a knot to hold it in place. Knot the ribbon ends.